Ron is the lead pastor of Highpoint Church near Chicago and is the bible teacher on the national radio program, "Highpoint Ministries". Ron and his wife Jody, came into a saving relationship with Jesus while on the brink of divorce in the first year of their marriage. God not only saved them, he changed them, restored their marriage, called them into full-time ministry and now used them to reach thousands for His glory. 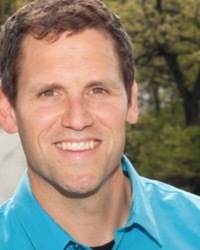 Brett McBride began working in urban ministry in 1998 in the city of Philadelphia where he met his wife Stephanie. His passion is equipping Christians to bring the message of God's love and hope to the inner city. He is the Executive Director of Urban Promise Toronto, an urban ministry serving families that live in government-housing. He has 2 sons named Jadyn & Caleb. When I stood in the back yard of the home I grew up in all I could see was forest and field. Country stretched before me for as long as I could see. Never did I expect or imagine that God would call me to minister at a church in the heart of the city. God has a heart for the city. The city is alive with various cultures, languages and people groups. The poor live in the heart of the city. God has called His people to love the city. I have had the privilege of pastoring at Hughson St since they called me to serve here on January 1, 1995. God has provided me with a wonderful wife and ministry partner, Aimee. We are blessed with four beautiful children named Ethan, Abby, Jewel and Ivy. When I look out my back yard today I see the city and hear God's voice caling me to love the people in our city. 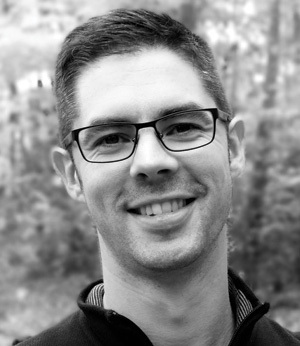 Dr. Steven West is the Lead Pastor at Crestwicke Baptist Church in Guelph, Ontario, as well as an adjunct professor at Heritage Seminary (Cambridge) and Toronto Baptist Seminary (Toronto). Steve has preached and lectured in Canada, the United States, Africa, and Asia. He is the author of Head, Heart, Hands: Life-Transforming Apologetics (2015) and Resurrection, Scripture, and Reformed Apologetics (2012). Steve and his wife Heather have two beautiful daughters and one unreasonably cute dog. Adam Brown is married to Angie and they have a daughter named Selah. He has been the full-time teaching elder (lead pastor) at the Rock Community Church in Woodstock, Ontario, since the summer of 2009. His passion is to open the Word of God with people in order to reveal Jesus Christ as the centre and focus of all Scripture and History. Adam is currently working on his Ph.D. in Christian Theology with a major in Old Testament Biblical Studies and a dissertation focus in the book of Isaiah. 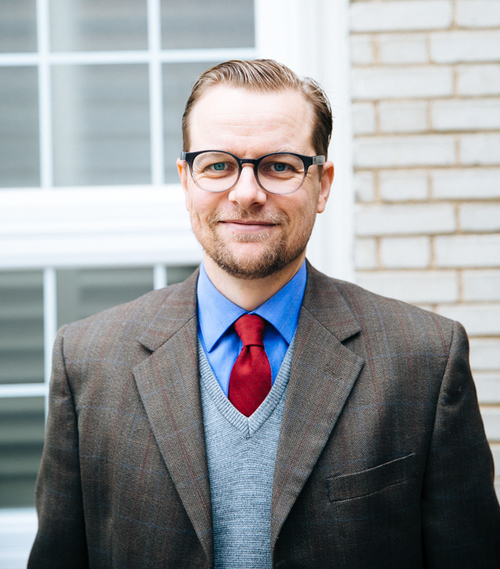 Dr. Michael Haykin is currently professor of Church History and Biblical Spirituality at Southern Baptist Theological Seminary in Louisville, Kentucky. He is also adjunct professor at Heritage College and Seminary in Cambridge ON. 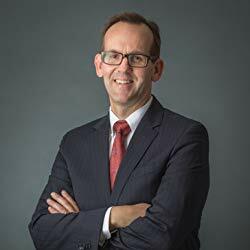 Born of Irish and Kurdish parents, Michael was raised in England, and converted to Christianity in 1974, through the witness of Alison Lowe (who became his wife in 1976) and the ministry of Stanley Avenue Baptist Church in Hamilton. He and Alison have two grown children, and live in Dundas ON. He is the author of many books including The God Who Draws Near: An introduction to Biblical Spirituality. 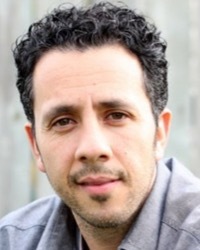 Since 2005, Juan Sanchez has served as senior pastor of High Pointe Baptist Church in Austin, Texas. He is a graduate of the University of Florida and holds an MDiv, a ThM, and a PhD in systematic theology from The Southern Baptist Theological Seminary. In addition to training pastors in the United States, Latin America, South America, and Eastern Europe, Juan is also a council member of The Gospel Coalition and cofounder and president of Coalición. At the denominational level, Juan serves as President of The Southern Baptists of Texas Convention and in 2016 was appointed to the faculty of The Southern Baptist Theological Seminary as assistant professor of Christian theology. Juan came to faith in Christ at the age of 17 out of a Roman Catholic background, and since 1990 has been married to Jeanine. They live in the Austin metro area and have five daughters, two son-in-laws one granddaughter, and one grandson. 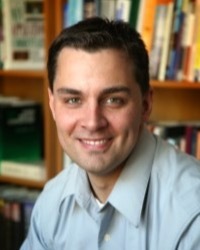 Paul Carter attended Moody Bible Institute and is a graduate of York University (B.A.) and McMaster Divinity College (MDiv). He has been in pastoral ministry since 1994, serving in both Fellowship and Canadian Baptist churches in Oakville, Mississauga and Orillia, Ontario. He presently serves as the Lead Pastor of First Baptist Church, Orillia, a large multi-staff church with a passion for biblical preaching and local mission. 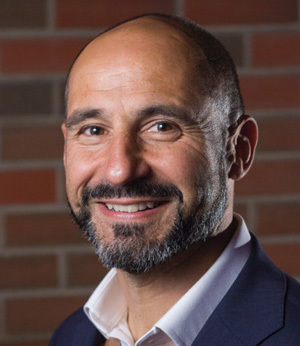 Along with his friend Marc Bertrand he is the co-founder of the Covenant Life Renewal Association seeking Biblical and Spiritual revival within Canadian Baptist Churches. 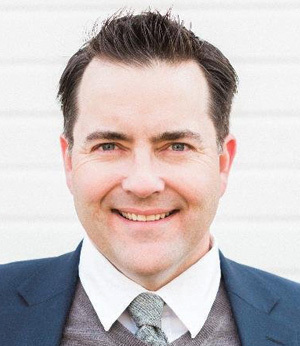 He also sits on the steering committee for The Gospel Coalition Ontario Regional Chapter.Paul is the happy husband of Shauna Lee and the proud papa of 5 beautiful children, Madison, Max, Mikayla, Peyton and Noa. 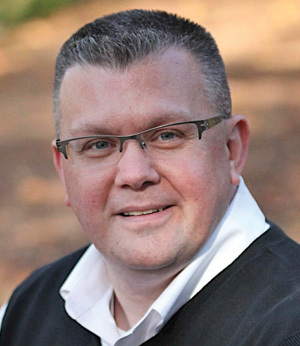 Scotty is a native of Graham, North Carolina, is a graduate of The University of North Carolina, Westminster Theological Seminary, and Covenant Theological Seminary (D. Min). After planting and pastoring Christ Community Church, Franklin, TN, for 26 years, Scotty assumed a position on the pastoral staff of West End Community Church, as Teacher in Residence. Scotty has authored ten books, including, Unveiled Hope (with Michael Card), Objects of His Affection, Restoring Broken Things (with Steven Curtis Chapman), Everyday Prayers: 365 Days to Gospel Centered Faith, and most recently, Every Season Prayers: Gospel-Centered Prayers for the Whole of Life. Scotty also invests time mentoring, coaching, and encouraging leaders in many different contexts. Scotty, and his wife of 46 years, Darlene, continue to live in Franklin, TN. Paul W. Martin is a native and long-term resident of Toronto. He holds a B.A. in Biblical Studies from The Master's College and an M.Div. from The Master's Seminary, both of Los Angeles, California. Since 1994 he has pastored churches in Chesley and Toronto, Ontario and is the founding pastor of Grace Fellowship Church. Paul and his wife, Susan, live with their four children in Toronto and have dedicated their lives to the furtherance of the Gospel in their beloved city. 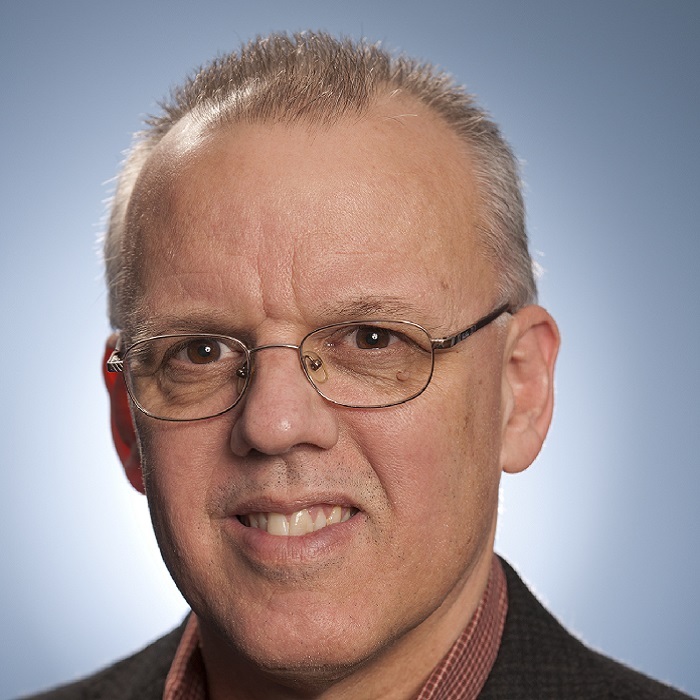 Besides serving as the senior pastor of Grace Fellowship Church, Paul also serves as the chair of The Gospel Coalition, Ontario Chapter, and is a happy member of the Toronto Gospel Alliance. John Mahaffey became a follower of Jesus Christ in his late teenage years. After graduation from Central Baptist Seminary, he and his wife Andrea became missionaries in the Philippines with SEND International. In 1990 he returned to Canada and became the Senior Pastor of Morningstar Christian Fellowship in Scarborough, where he served its unique multicultural congregation of 1200 people for 18 years. In January 2008, John was called to become the Senior Pastor of West Highland Baptist Church in Hamilton. John is a founding member of the Gospel Coalition, a group of evangelical leaders committed to Gospel centered ministry. He and Andrea have four adult children, a great son-in-law and a beautiful granddaughter. In his “spare” time, he can usually be found bombing around Hamilton on his 1957 Vintage Vespa Scooter. Feeling the Full force of "Nothing"
In 1996, after years of spending his summers in Muskoka working at various summer camps, Kaj Ballantyne moved to Muskoka full time to develop and launch a one-year wilderness discipleship school at MBC. After over a decade in that ministry Kaj stepped out into a new adventure of planting Harvest Bible Chapel Muskoka in Bracebridge, Ontario. Harvest Muskoka has since added a 2nd campus in Parry Sound. Kaj is married to Libby and they have three daughters McKinley, Elianna and Chloe. John has just completed his sixth summer as CEO of Muskoka Bible Centre. His passion for God's Kingdom-building work brings energy and focus to the staff team and ministry at MBC. John and Lisa and their 5 children live in Bracebridge. Dr. Rick Reed joined Heritage College & Seminary on Jan. 1, 2013 as President after serving for fourteen years as Senior Pastor at the Metropolitan Bible Church in Ottawa. He has also been a plenary and seminar presenter for Billy Graham’s School of Evangelism, guest professor at Nassa Theological College in Mwanza, Tanzania and an adjunct professor for Heritage Seminary. Dr. Reed’s rich pastoral experience, teaching and writing experiences bring together a wonderful blend of academics, church and missions. He is married to Linda and they have three children. William Tyndale and "Scripture alone"
Thomas Cranmer and "Christ Alone"
Rick Buck has served as Lead Pastor at Emmanuel in Barrie since 1996. He and is his wife Jo have two children and three grandchildren. He studied at London Baptist Seminary and Dallas Theological Seminary, and has his Doctorate of Ministry Degree from Trinity Evangelical Divinity School. He also serves on the board of Heritage College & Seminary in Cambridge. 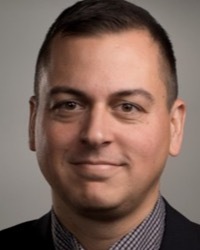 After graduating from Moody Bible Institute, and later Trinity Evangelical Divinity School, God called Bryndan Loritts to the role of Senior Pastor of First Baptist Church of Lansing IL where he served for two and a half years. He is now planting a church with Harvest Bible Chapel in Nashville, Tennessee. Robbie Symons is the founding Pastor of Harvest Bible Chapel Oakville. His greatest passion is to see Jesus Christ glorified as people realize their potential through His amazing power. Robbie and his wife Gillian live with their four children in Burlington, Ontario. Matthew met Jesus at the age of 16 after hearing the gospel at a small Scottish Baptist Church. 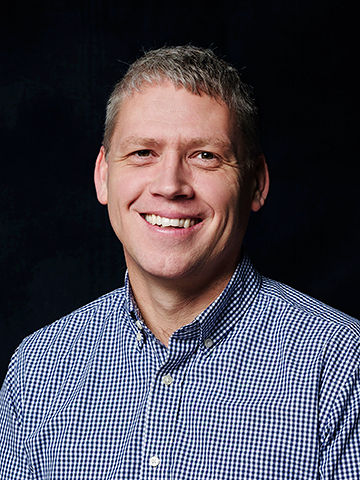 Today, he is the pastor of Redeemer Fellowship Church in central Kentucky and serves as the executive director and co-founder of “20 Schemes,”a church planting ministry in Scotland that plants churches in Scotland’s poorest communities. He is married to his wife Tracy and has two beautiful daughters. Ryan Fullerton grew up in Western Canada, and in 2000 Ryan moved to Louisville, Ky. to attend the Southern Baptist Theological Seminary. He has been the pastor of Immanuel Baptist Church in Louisville since 2002. 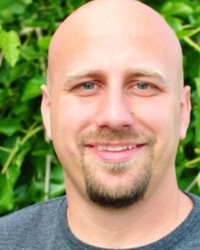 Ryan has co-authored two books and is a co-founder of the Immanuel Network. Ryan and Christy have been married 12 years and have 4 children. An Alberta boy, Clint grew up on the family farm and competed in Rodeo. Then, from a life of sin, God brought him to faith in Christ at 19 through the reading of Scripture and listening to sermons on radio. He now serves as the Senior Pastor of Calvary Grace Church in Calgary, Alberta, and is also a Council Member with the Gospel Coalition Canada. Above and beyond that, he is incredibly blessed to be married to his lovely wife, Christel, as they raise their three cowboys, Hunter, Knox, and Winston. Ed and his wife, Crystal, currently live in Stouffville, Ontario. They have three sons, one daughter in law and one grand daughter. Ed serves as Senior Pastor of Springvale Church in Stoufville while Crystal is the Ontario Development officer for Trinity Western University. Ed believes that preaching Jesus through the Word brings true life to people and churches. 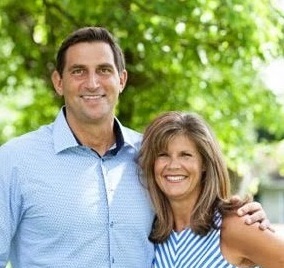 When he can, he loves hitting the slopes to ski, or participating in a Cross Fit class, and connecting with the lost people he meets. Bill attended Bible College for one year for personal growth. While attending Tyndale University College, he sensed God calling him to teach eternal truths to both students and adults in the context of a local church. He is now the lead pastor at Flamborough Baptist Church and has furthered his education with Master of Divinity and Doctor of Ministry degrees. Steve has been a pastor for over 20 years serving in both Fellowship and Canadian Baptist Churches. He now serves as a Lead Pastor of Calvary Baptist Church in St. Johns. Steve is embarking on a church planting endeavor called Mile One Mission dedicated to planting churches in the Maritime provinces. He is the blessed husband of Debbie, his childhood sweetheart, and proud father of 3 beautiful children, Brandon, Jordan and Abigail. 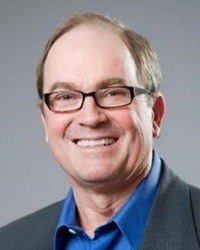 Norm Millar spent 16 years in a computer career in London, before God called him to get his MDiv at The Master’s Seminary in LA. Eventually God led him, in 2000 to plant a new church in London, now known as Harvest Bible Chapel London. Norm and his wife, Cindy, have been married 36 years and have 5 children and 9 grandchildren. Sean Sheeran moved from Scotland as a teenager, and began attending Hespeler Baptist Church at age 17, which is where he first heard the gospel and was converted. 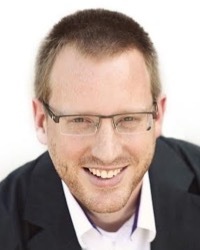 Shortly before graduating from Heritage Bible College he became part of the staff at Hespeler Baptist, serving as associate pastor from 2009-2013, and in 2011 was ordained with the Fellowship of Evangelical Baptist Churches of Canada. Since 2013 Sean has been serving as lead pastor at the same church. He lives in Cambridge with his wife Meredith, high school sweethearts now in their 10th year of marriage. 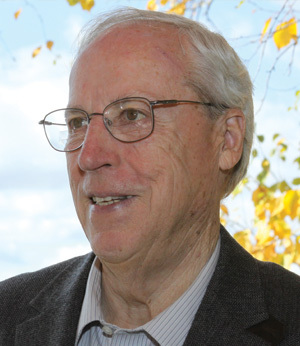 Dr. Bill McRae was born in Toronto and is a graduate of Emmaus Bible College, Toronto Teachers College, Queen's University B.A. Dallas Theological Seminary, ThM, Dmin. In August 1983 he was appointed President of Ontario Bible College Theological Seminary, now known as Tyndale University College and Seminary. In 1991 he became Chancellor and in April, 1998 he was appointed President Emeritus of Tyndale and this is his present position. Dr. McRae is married to Marilyn. They have four married children, thirteen grandchildren, and four great grandchildren. 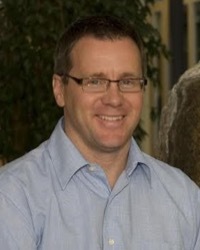 Since 2001, Roger Pascoe has been the President of the Institute for Biblical Preaching (IBP), Cambridge, Ontario, whose mission is to “strengthen the church in biblical preaching and leadership.” From 2001 until 2005, Roger was the Director of The Stephen Olford Centre for Preaching and Leadership at Heritage Seminary in Cambridge. Overseas, Roger conducts training institutes for pastors who have little or no formal theological or pastoral training. Roger is ordained with the Fellowship of Evangelical Baptist Churches of Canada. Roger also currently serves on the pastoral staff at Hespeler Baptist Church in Cambridge. He lives in Cambridge with his wife, Janet, and has two adult children and 3 grandchildren. 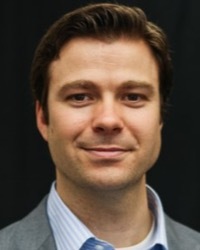 Dr. Aaron Rock is the founding and lead pastor at Southwood Church and teaching pastor at The Vine Church on the campus of the University of Windsor. Planted in 2001, the church has grown from one family to 600 persons in two sites with two additional sister church plants. He has served as a Bible college professor, overseas teacher, and has degrees from Heritage College, Moody Seminary-Michigan, Liberty University and Wilfrid Laurier University. One of his books-Building Spiritual Muscle-circulates in Canadian prisons among inmates studying Scripture. Aaron and his wife Susie, who serves as a women’s life director at their church, have been married 21 years and have five children aged 11-17. His hobbies include working on his ’69 Chevy pick-up, karate and SCUBA diving! 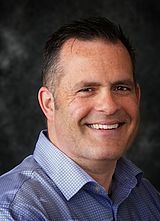 Kirk Wellum is the Principal of Toronto Baptist Seminary and Bible College where he also teaches systematic and pastoral theology and various books of the Bible. Before coming to TBS he has been the pastor of 3 congregations over 24 years. He speaks in conferences in Canada and the United States and has written numerous articles for a variety of Christian magazines. 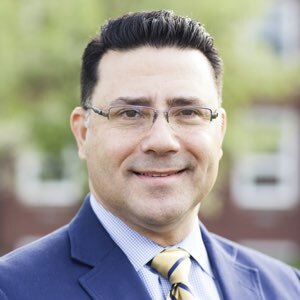 David Barker is the Vice President of Academics and Student Affairs, and Seminary Dean, at Heritage College and Seminary. He is also a part time Associate Pastor at Benton Street Baptist Church in Kitchener. At the church he is responsible for leadership development, adult education, and helping out with the preaching ministry of the church. He has taught at Heritage College and Seminary for over 33 years. His specialty is the Old Testament, but also teaches in the field of pastoral studies. David is married to Lorraine, and they have five married children and six granddaughters. Paul Carter attended Moody Bible Institute and is a graduate of York University (B.A.) and McMaster Divinity College (MDiv). He has been in pastoral ministry since 1994, serving in both Fellowship and Canadian Baptist churches in Oakville, Mississauga and Orillia, Ontario Canada. He presently serves as the Lead Pastor of First Baptist Church, Orillia, a large multi-staff church with a passion for biblical preaching and local mission. 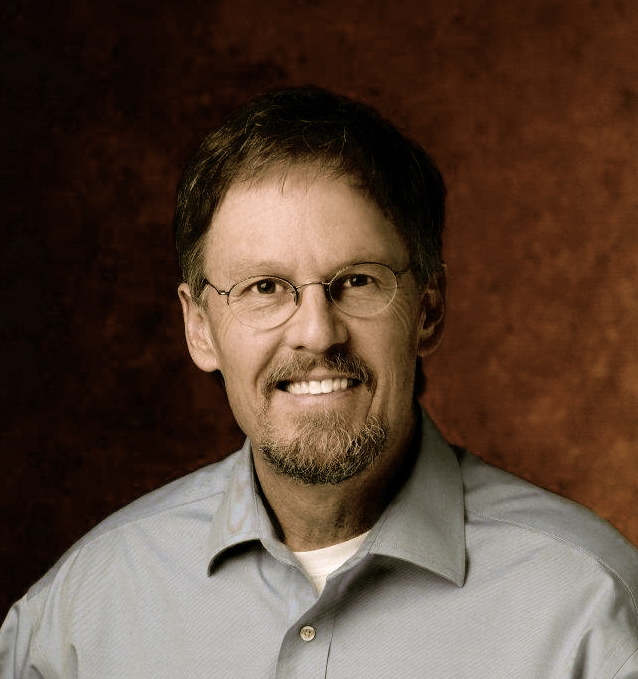 Paul has written two books and is a frequent blogger on issues of Christian faith and living. He also sits on the steering committee for The Gospel Coalition Ontario Regional Chapter. Paul is the happy husband of Shauna Lee and the proud papa of 5 beautiful children, Madison, Max, Mikayla, Peyton and Noa. 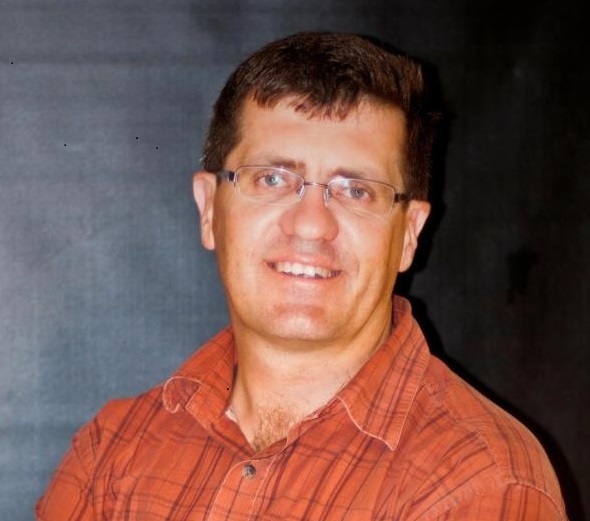 Glenn Deane is currently the Teaching Pastor at Pinegrove Fellowship Baptist Church in Bracebridge, Ontario. He was born and raised in the city of Toronto and came to know Christ at a young age. In his late teen years he felt the call of God on his life for ministry. Following this call, he graduated from Central Baptist Seminary and became the Pastor of Napanee Baptist Church for nine years. After this, he worked with The Faith Mission (in Canada) for 13 years. This mission gave opportunity to work with every age group and speak in all parts of Ontario and many places in Canada. Glenn has been married to Robin for 26 years and they have two grown sons. They moved to Muskoka in September 2011 and have been loving every minute of the experience. Lawrence Jensen ministers as a pastor at the New Sweden Mission Church in Wetaskiwin Alberta just south of Edmonton. Prior to this he served as the Assistant Director and Principal of a Bible School at Capernwray Harbour Bible Centre on Thetis Island. He is husband to Lori and father to son, Daniel and daughter, Mary; the joys of his life. Lawrence is effectively involved in countless lives, young and old alike, in teaching and preaching, discipling, encouraging and leading others to discover Christ as Life. With love for the Lord, clarity of vision and consistent walk in Christ, Lawrence’s joy is to see the Lord Jesus Christ glorified in our midst so that others may come to know Him and His saving life and power. Paul Kerr and his family spent 10 plus years in India as the first missionaries with what is now Fellowship International. Returning to Canada in 1974, become Pastor at Forward Baptist in Toronto until 1982. He then spent the next 18 years as director of the mission retiring in 2000. After 8 interim pastorates, he accepted the position of Pastor of seniors and Pastoral care at Emmanuel in Barrie and retired again in 2010. Ian Hales is the founding pastor of Harvest Bible Chapel Durham. Ian grew up in the Durham region and by God’s grace was given the privilege to plant Harvest Durham in 2010. God has done and continues to do great things in and through Harvest Durham for the glory of His great name. Ian and his wife Sarah are parents to Karis & Joshua. Dom Ruso is the lead pastor of Temple Baptist Church in Sarnia. Dom looks forward to sharing his deep passion for the church and for what Jesus can do when his people truly surrender themselves to the values of God’s Kingdom. Dom and his wife Beverly have three wonderful boys. David Epstein is the Senior pastor of Calvary Baptist Church in New York City. Author, pastor, conference speaker and radio broadcaster, David brings solid Bible teaching and spiritual depth to all his ministry ventures. He and his wife Sandy have three married children and seven beautiful grandchildren. 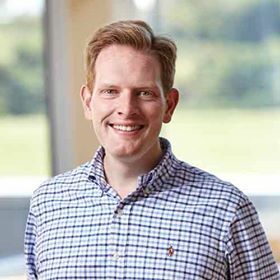 Justin Taylor (PhD candidate, The Southern Baptist Theological Seminary) is senior vice president and publisher for books at Crossway Books in Wheaton, Illinois. He has edited and contributed to several books including A God-Entranced Vision of All Things and Reclaiming the Center, and he blogs at Between Two Worlds—hosted by the Gospel Coalition. 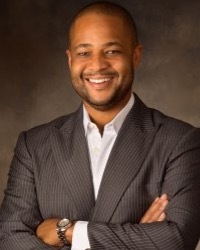 Bryan Loritts is the Pastor for Preaching and Mission at Trinity Grace Church in New York City. He is the co-founder of Fellowship Memphis, where he served as Lead Pastor for 11 years, helping to grow the church from 26 in a living room to several thousand. He is the author of several books including Letters to a Birmingham Jail and Right Color/Wrong Culture. Bryan is married to Korie, and is the father of three sons: Quentin, Myles, and Jaden. Dr. Garth Leno is the senior pastor at The Gathering, a new church plant in Windsor, ON in cooperation with the Canadian National Baptist Convention and the Southern Baptist Convention in the U.S. Garth’s primary gift is preaching and teaching, and he brings a high dedication to the text of Holy Scripture combined with a passionate devotion to Christ and the strong application of Biblical truth to daily life. Garth and Patty have been married since 1980 and have three children. 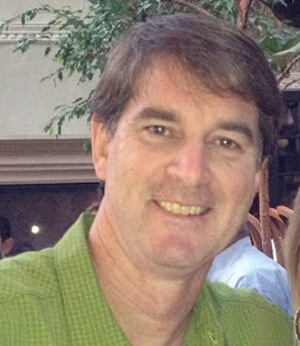 Crawford Loritts has been the senior pastor of Fellowship Bible Church in Roswell, Georgia since 2005. Crawford was ordained to gospel ministry in 1972. He has served as a national evangelist with American Missionary Fellowship, and has founded a number of churches in the southern U.S. In 1978 Crawford and his wife Karen joined Campus Crusade for Christ staff as traveling speakers. They have four grown children and 8 grandchildren. 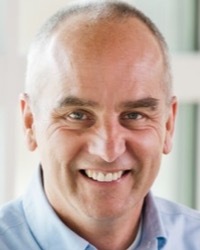 Steve Adams served for several years through North America and internationally with World Thrust, Grace Fellowship Church in Atlanta and Crossover Communications International, In 2005 the Lord led the family back to Canada to lead Mentorlink Canada, facilitating church leadership development through mentoring. In 2007 the Lord called Steve to pastor Forward Church in Cambridge. Steve and his wife Cheryl have three children. Exactly 20 summers ago Derik Fuller got his feet wet in ministry by serving in the children’s ministry program right here at MBC. 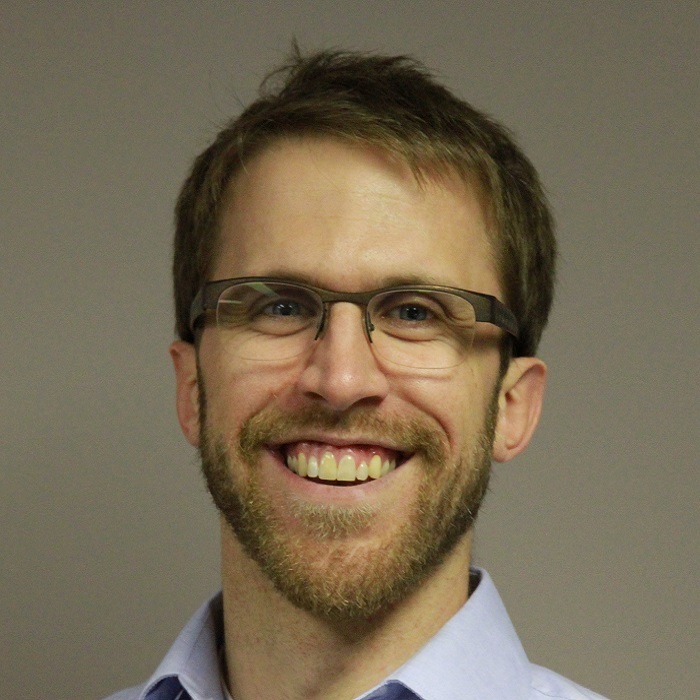 Derik is a graduate of Heritage College and Seminary and now serves on staff at Forward Church (Cambridge) as the community pastor of Forward Church Huron Park. Derik and Amanda have three young children: Mya, Luke and Jack. 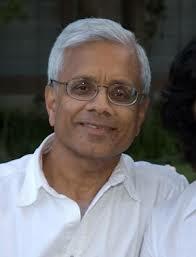 Sunder Krishnan was born into an orthodox Hindu family in India and grew up in the capital city of New Delhi. He became a believer through the ministry of Youth For Christ during university. 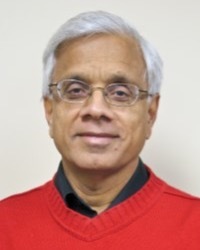 After a career in safety analysis with Atomic Energy of Canada, Sunder joined the pastoral staff of Rexdale Alliance Church in Toronto in 1980, and has served as its senior pastor since 1997. Sunder and Shyamala have 2 grown children and 5 grandchildren. Peter Yi is tri-cultural — born in South Korea, raised and educated in Chicago, and has been pastoring in Toronto for the past 18 years. He’s been married to Linda for 20 years and has three wonderful children – Tabitha, Josiah, and Matthias. He received his MDiv and ThM from Trinity Evangelical Divinity School in Chicago and is a graduate of Arrow Leadership. He is an ordained Presbyterian minister and has served at Young Nak Presbyterian Church in Toronto since 1995, first as the youth pastor and then from 2003, as the lead pastor of the English congregation. Being an immigrant church Young Nak has both Korean and English language congregations. God willing he hopes to be able to serve this church until his retirement, which is still many years away. Peter, like true disciples of Jesus, loves to go fishing (for fish and men) and enjoys road cycling and mountain biking. Tim Schroeder is an "out of the box" pastor who is frequently found in police cars, hockey dressing rooms and karate dojo's. As a marathon runner, karate enthusiast and motorcyclist his unique take on life has made him a highly sought after speaker and author. Tim's commitment to his community crosses all denominational lines. He served for more than ten years as an Auxiliary Member of the RCMP and has served as Chaplain for Police and Fire Departments as well as for the Kelowna Rockets Hockey Team. He has received numbers of awards for his community service including the Queen's Golden Jubilee Medal. His newspaper column has become a fixture in Kelowna and his book, Life By The Hour, has had significant impact both inside and outside the church. 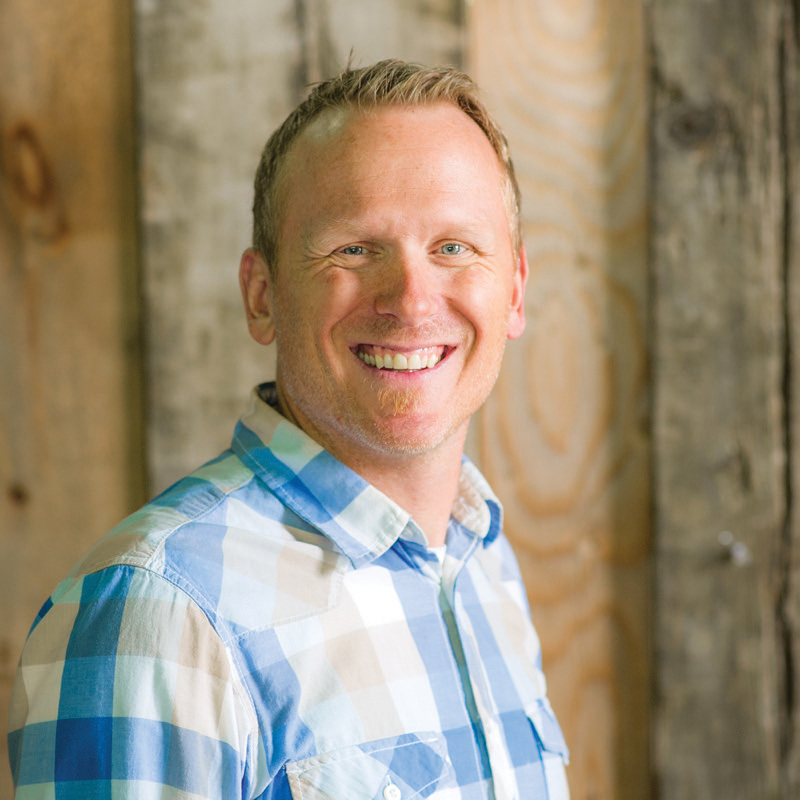 Professionally Tim holds a dual position, serving as National Pastor for Willow Creek Canada and as Teaching Pastor at Trinity Church in Kelowna. These positions provide both a broad perspective of what is happening in churches coast to coast and the practical realities of weekly work in one local church. It's his passion for Biblical Communication that connects him most significantly with most Christians. Tim holds numerous educational degrees including a Bachelor of Arts; Master of Divinity; and Doctor of Ministries degree. Key in Tim's life is his wife Arlene, who is a Registered Nurse, and grown children Lindsey and Travis. Dave Earley is Lead Pastor of Grace City Church in Las Vegas Nevada. Grace City is focused on radical Word-led, worshipped based prayer, living lifestyles of evangelism, and intentional disciple-making. 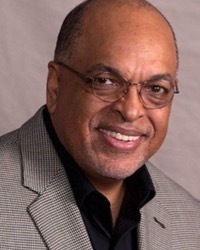 Prior to launching Grace City, Dr. Earley served as Chairman of the Department of Pastoral Ministries and Church Expansion at Liberty Baptist Theological Seminary. He also served as Director of the Center for Ministry Training at Liberty Baptist Theological Seminary and the Director of the Center for Church Planting at Liberty University. Prior to teaching at Liberty, Dave was the founding sr. pastor of the New Life Church of Gahanna-Columbus, Ohio. New Life started in his basement with 12 people and grew to nearly 2,000 in weekly attendance with over 100 small groups. As well, Dave is the author of twenty books. But What About Other Religions? 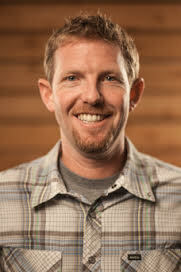 Jeff Gowling is the founding and Lead Pastor of The Bridge Bible Church, a dynamic externally-focused church located in Bakersfield, California. 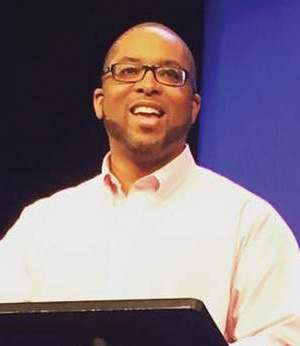 He previously served as an Associate Pastor at Calvary Baptist Church in New York City. 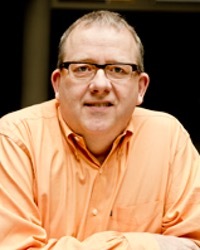 Jeff was born in Ottawa, ON and earned his Masters of Theology from Dallas Theological Seminary. His greatest joy is his wife, Tracy and children Alyssa (15) and Brett (13). Thomas Bailey: How do you know? Who was there? Lane Fusilier was born to a Cajun dad and a Welsh mum in Southeast Texas. He grew up in a fervently-Christian home. When he moved to Boston to study biology at MIT he left the faith. Through the influence of a campus minister and CS Lewis, he returned to Christian faith during school. He graduated from the University of Texas in psychology, graduated from Dallas Theological Seminary in Old Testament, and met his wife Deborah Wootton, through university friends. They married, moved to Waco, Texas to launch a church, and pastored that church for 21 years. All four of their children were born in Waco. Lane and Debi moved to Hamilton in 1999 to join the staff of Philpott Church. All three of their sons married Canadian women, so they are here for life! John Garner was raised primarily in St. Catharines and was enjoying a career in men's wear retailing when he experienced a definite call from God to begin training for pastoral ministry. He studied at Central Baptist Seminary in Toronto and graduated with a Bachelor of Religious Education. For 35 years John has served in pastoral ministry, currently serving at Redeemer Bible Church in Niagara Falls as Lead Pastor. John was the founding Director for Willow Creek Canada and has spoken at conferences for Willow Creek, Focus on the Family and Promise Keepers. John and his wife Peggi have spoken as a couple in different workshop settings on the theme of 'Marriage and Ministry.' John has a passion to help see people grow as courageous and passionate followers of Jesus Christ. James Macdonald, (D. Min. Phoenix Seminary) is the founding senior pastor of Harvest Bible Chapel, leads the church- planting ministry of Harvest Bible Fellowship, teaches the practical application of God’s Word on the Walk in the Word radio broadcast, and is a gifted author and speaker. You can find out more about James and his ministries at WalkintheWord.com. Do I Really "Get" the Kingdom of God? How Can This Be God's World? Stan Fowler serves as Professor of Theological Studies at Heritage College & Seminary. He has served as a professor and administrator at Central Baptist Seminary and then Heritage since 1982. He previously pastored Baptist churches in Bloomington, Indiana and Toronto. He is a graduate of Dallas Seminary and earned his doctorate in theology at Wycliffe College, University of Toronto. He has written numerous theological essays and one book, More Than a Symbol (an analysis of baptismal theology). He has been married to Donna for 44 years, and they have four adult children and six grandchildren. This is the section in which special orders (like testimonies) will be placed. Please check with AV before selling any of the files in this category. Stephen Nichols (Ph.D., Westminster Theological Seminary) is Research Professor of Christianity and Culture at Lancaster Bible College in Lancaster, Pennsylvania. He has written fifteen books, including books on the Reformation, Jonathan Edwards, American evangelicalism, and even blues music. His most recent book is Bonhoeffer on the Christian Life: From the Cross, for the World (Crossway). He is an adjunct faculty member for Reformed Theological Seminary and a visiting lecturer in Westminster Seminary's London program in the UK. He frequently speaks in churches and at conferences. Steve and his wife, Heidi, live in Lancaster with their three children. Rev. Joe Boot is the senior and founding pastor of Westminster Chapel in Toronto and founder of the Ezra Institute for Contemporary Christianity. He and his wife are originally from England, having come to Canada to work in Christian apologetics, worldview education and evangelism, focusing on those that shape the ideas of culture. He served with Ravi Zacharias for seven years as an apologist in the U.K. and Canada, working for five years as Canadian director of RZIM. Prior to this, he served as an associate pastor with Christ Church in Fulham, London U.K. In his first ministry role he travelled extensively as national evangelist for Saltmine Trust in the U.K. Joe resides in Toronto with his wife Jenny and their three children Naomi, Hannah and Isaac. Blessed Assurance, Is Jesus Mine? True Christianity: What Does Jesus Think Of You? Born in Scotland, Stuart McAllister saw his life changed by Christ at the early age of twenty. Filled with a hunger to learn more about and preach the Gospel, he took every opportunity to witness and give his testimony. This desire to serve the Lord and deepen his understanding of the faith led him to join Operation Mobilisation in 1978. His service with OM took him to Yugoslavia, where he was imprisoned for 40 days for distributing Christian literature. Upon his release, he continued his mission to preach the Gospel in communist countries, resulting in more imprisonments. With a rich history of service, Stuart has served as general secretary of the European Evangelical Alliance, and been involved with the European Lausanne Committee. 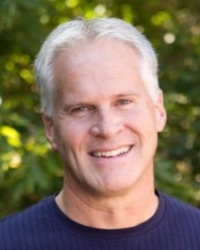 Stuart joined Ravi Zacharias International Ministries in 1998 as the International Director and today serves as the Vice-President for Training and Special Projects. Andy is the lead apologist for RZIM Canada. He speaks throughout the UK and Europe, as well as regularly in Canada. Andy is also a visiting lecturer for the Oxford Centre for Christian Apologetics, London School of Theology and Wycliffe Hall, Oxford. 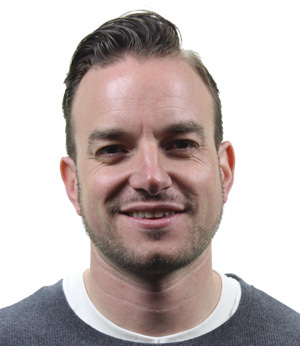 With a background in youth ministry before studying theology and philosophy (focusing especially on Islam), Andy has engaged in apologetics in wide variety of settings, from up a ladder at London’s Speakers Corner, to university seminars, to radio and online debates. He has worked with churches and organizations across the denominational spectrum, including L’Abri, the European Leadership Forum and New Word Alive, where he has designed and run the Islamic apologetics workshops for the past few years. Andy has also been involved in media work, regularly appearing on London Premier Radio’s Unbelievable show and contributing to ITV’s The Muslim Jesus television documentary. Erwin W. Lutzer is senior pastor of The Moody Church in Chicago. A graduate of Dallas Theological Seminary and Loyola University, he is the author of numerous books, including the Gold Medallion Award winner Hitler's Cross and the best seller One Minute After You Die. He is also a teacher on radio programs heard on more than 700 stations throughout the United States and the world, including Songs in the Night, The Moody Church Hour, and the daily feature Running to Win. He and his wife, Rebecca, live in the Chicago area and have three married children and six grandchildren. Charles Price has been the Senior Pastor of The Peoples Church in Toronto, Ontario, Canada since September 2001, with a congregation of 4000+ people. He has a weekly hour-long television programme, Living Truth, which is broadcast coast to coast in Canada each week, as well as in the U.S.A, United Kingdom, Europe, India, Australia, New Zealand, Guyana, South Korea and Japan. He also has a daily 30 minute radio program which is broadcast in the U.S.A. and Canada. Charles Price came to Christ through a Billy Graham film at the age of twelve in Hereford, England. On leaving school he farmed for two years in Zimbabwe before returning to England to attend Capernwray Bible School for one year. He then spent three years at the Bible Training Institute in Glasgow, Scotland. He was awarded an honorary Doctor of Divinity degree by Tyndale University in Toronto in 2004. 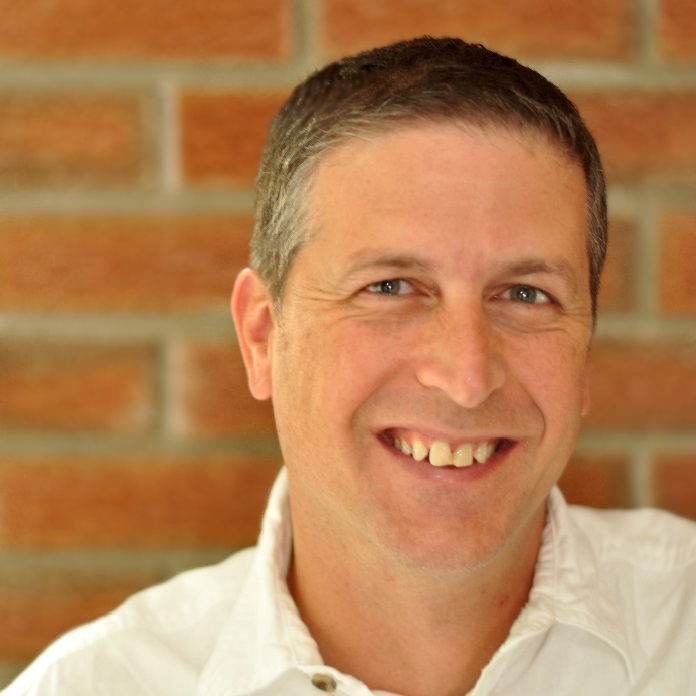 Kevin Mahon has been the teaching pastor at Peoples Church, Sarnia-Lambton for nine years. He is a graduate of York University in Fine Arts and Central Baptist Seminary with an MDiv. Kevin is married to Charlene and together they have five children: Josiah, Abi, Sam, Jacob and Seth. Why Are We Not Environmentalists? The Fires Of Forging- Leaders Beware! Michael Pawelke with his wife Linda and two children came to Brant Bible Church in 1994. Since that time Brant has grown and transitioned in numerous ways by adding worship services, planting two daughter churches, and most recently, entering into a strategic ministry partnership with Park Bible Church to create Compass Point Bible Church. Michael is a graduate of Briercrest Bible College, Dallas Theological Seminary, and Gordon-Conwell Theological Seminary. He loves to bring God's Word to life with seekers and believers alike. He also has a deep passion for casting a vision for impacting our world with the cause of Christ. Dr. Gary Inrig has been serving Trinity Church since 1992. A native of Canada, he has been in pastoral ministry for more than thirty years and has served in Christian Ministry for over forty years. With an extensive conference ministry in the United States and Canada, he has spoken in countries on each of the continents. 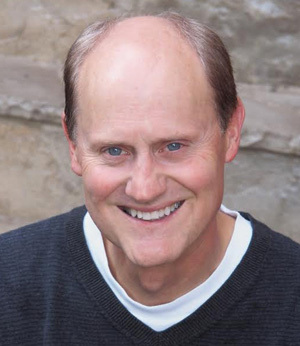 Gary is the author of ten books, including Pure Desire, Quality Friendship, True North, Whole Marriages in a Broken World, Forgiveness, and Hearts of Iron, Feet of Clay. Gary and his wife, Elizabeth, have three married children, Janice, Stephen, and Heather; and eight grandchildren. Don Howard has been in pastoral ministry for 35 years, serving congregations in Ottawa, London, and Kitchener, and has now returned once again to London as Senior Pastor of Stoney Creek Baptist. He is a graduate of Central Baptist Seminary in Toronto. For 17 years he was part time faculty member of London Baptist Bible College. His passion is to teach God's Word in a practical and understandable way so that people will apply it to their lives, allowing God to help them to grow to be all that He has designed and desired them to be. Don and his wife Dawn have three children, Carolyn, Colleen, and David; and five grandchildren. Men of Vision; LOOK UP!